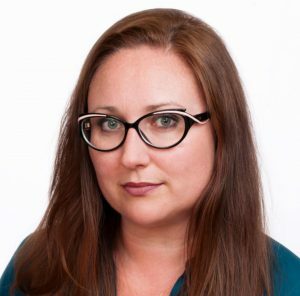 Courtney C. Radsch, PhD, is advocacy director at the Committee to Protect Journalists (CPJ). She serves as chief spokesperson on global press freedom issues for the organization and oversees CPJ’s engagement with the United Nations, the Internet Governance Forum, and other multilateral institutions as well as CPJ’s campaigns on behalf of journalists killed and imprisoned for their work. As a veteran journalist, researcher, and free expression advocate, she frequently writes and speaks about the intersection of media, technology, and human rights. Her book Cyberactivism and Citizen Journalism in Egypt: Digital Dissidence and Political Change was published in 2016. Prior to joining CPJ, Radsch worked for UNESCO, edited the flagship publication “World Trends in Freedom of Expression and Media Development,” and managed the Global Freedom of Expression Campaign at Freedom House. She has worked as a journalist in the United States and Middle East with Al-Arabiya, the Daily Star, and The New York Times. Radsch holds a PhD in international relations from American University. She speaks Arabic, French, and Spanish.